Fast-food behemoth Yum! Brands, Inc. (NYSE:YUM) wowed investors a few months back when it reported great sales figures driven by an unlikely suspect: Taco Bell. The news sparked a wave of discussion on topics ranging from whether the company has a genius marketing campaign to whether it’s fueling the U.S. diabetes epidemic. Whatever your opinion, Taco Bell’s recent efforts have led the company in an otherwise difficult market. For the recently completed quarter, Yum! Brands, Inc. (NYSE:YUM) saw a tremendous drop-off in profit from its China division. Though it beat the Street on earnings, internal comps are down compared to the year-ago quarter. 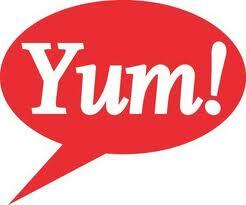 Here’s what you need to know about Yum! going forward. Starting at the bottom, EPS came in at $0.70 for the parent company behind Taco Bell, KFC, and Pizza Hut. This arrives ahead of Wall Street’s estimates, but also represents an 8% slip from the prior year’s numbers. Top-line revenues came in at $2.54 billion — short of the Street, and again, an 8% drop from the 2012. The culprit was quickly and easily identifiable: China. Plagued by a media-driven scandal involving the quality of KFC’s chicken in China, along with the outbreak of the H7N9 flu in the region, Yum! Brands, Inc. (NYSE:YUM)’s China-based stores saw comparable sales plummet 20% from a year ago. KFC China led the downhill race with 24% lower comps, while Pizza Hut fell 2%. The Far East was a disaster for the company, but it didn’t impede continued progress for Yum!’s domestic operations. Comparables in the U.S. rose 2%. The leader in the segment? Yep, Taco Bell, with same-store sales up 6% from the prior year. Globally, profit fell 14%, led by a 41% drop in China. The U.S. showed 5% growth, while Yum! Brands, Inc. (NYSE:YUM) Restaurants International led the company with 19% growth. For those unfamiliar with it, Yum! Restaurants International is the segment that includes everything except the U.S., China, and India. It represents more than 14,000 restaurants in 122 countries. Management expects the China problem to remain through the current quarter, so investors should not be looking for a quick turnaround here. There may be another round of year-over-year declines over the next couple of months, but that shouldn’t deter long-term investors. With U.S. growth and Yum! Restaurants International up double-digits in a still-challenging macroeconomic environment, I am confident that Yum! Brands, Inc. (NYSE:YUM) remains on track for attractive growth, rewarding investors along the way.